It’s hard to miss the orange and silver façade of Regus Lage Mosten A16 and its glass-lined, high-ceilinged entrance is sure to create a great first impression on your clients. Inside, the light, airy office space (pictured below), co-working areas, meeting rooms and conference rooms are served by a new restaurant, and there’s plenty of on-site parking. Amsterdam, Schiphol and Rotterdam are all served by speedy connections from Breda Prinsenbeek bus and railway station, which is a five-minute walk away. Nearby Breda itself is a great place to take your team or clients. Check out the beautiful Grote Kerk church or dine at one of the many first-rate restaurants or bars. Just a couple of hundred metres from Trafford Park, Europe’s largest industrial estate, Regus Centenary House is located on the entire top floor of this gleaming, glass-fronted building, with floor-to-ceiling windows. More than 22,000 square feet of office and co-working space is available. Fans of Manchester United should note that the club’s Old Trafford ground is just ten minutes away by tram. And if there isn’t a match on, you can still get a taste of the Theatre of Dreams by taking a stadium tour or visiting the Red Devils museum. Can a business centre be any more convenient than one located in a city’s major railway station? With the added benefits of a subway and bus station right next door, Regus Gare de Lille Flandres couldn’t be better. Spread over four floors, these charming offices and co-working spaces are close to a large number of local hotels, not to mention cultural highlights such as the Saint Maurice church and the Ancien Refuge museum. The nearby Euralille shopping centre is a haven for shopaholics. The first of its kind in Jamaica, Regus Kingston offers creative working in the heart of the city’s commercial district. Situated on Level 9 of the PanJam Building, the ultra-modern office provides a unique and exciting work environment that suits the needs of both small- and medium-sized businesses alike. Norman Manley International Airport is just 30 minutes away, and the Marriott Hotel, Pegasus Hotel and Courtleigh Suites are within easy walking distance. Disabled facilities are available, and there’s customer parking both on-site and nearby. Conveniently located on Al Matar Street, Airport Heights in Al Seeb, Regus Hormuz Grand is just a few minutes’ drive from Muscat International Airport. 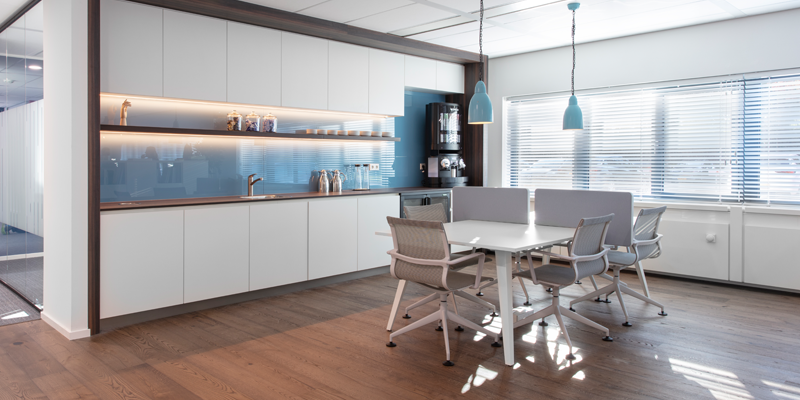 A range of office space and meeting rooms is available, as well as shared co-working spaces. When the time comes to relax, you’ll be spoilt for choice by the local amenities on offer. The Muscat Hills Golf and Country Club (home to Oman’s first 18-hole grass golf course) is close by, and other popular destinations are within easy reach, such as the huge Markaz Al Bahja shopping centre or the Seeb Corniche, with its coffee shops and sea views. A 30-storey glass tower rising elegantly above the bustle of Buyukdere Street, the primary artery that runs through Istanbul’s midtown business district, is home to Regus Maya Akar. The subway and excellent taxi and bus connections are within walking distance, offering access to the many delights of the Queen of Cities, as Istanbul (then Constantinople) was once known. Just a five-minute drive will take you to the Akmerkez, a fashionable shopping mall, while several five-star hotels can be found within a five-kilometre radius. The wide range of offices, co-working space and meeting rooms is protected by high-quality security. The industrial powerhouse of Davao City is growing fast, and Regus Felcris Centrale is located just minutes away from its beating heart. A 10-storey, blue-glass new build offers 14,500 square feet of workspace served by five high-speed elevators, and the Land Transportation Office bus station is less than four kilometres away. Nearby are high-grade office buildings, apartments, hotels and a shopping mall. Fancy a break? Snapchat takes on a new meaning if you decide to take your clients or colleagues to the Davao Crocodile Park, where you can get up close and personal with crocs of all sizes. With an economic heritage rooted in manufacturing, Kitchener is nowadays making a name for itself in hi-tech sectors such as digital media and medical science. 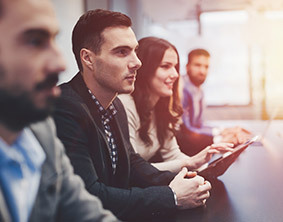 Regus Kitchener offers modern office space located in one of the most prominent buildings in downtown Kitchener’s thriving tech core, making it easy to connect not just with local entrepreneurs, but just about any sector. The surrounding neighbourhood is brimming with history and charm, making this a premier address for any business looking to establish a solid presence in the city. The Lower City of Haifa is on the up. After years that saw its status as a trading hub wane, it has now regained, and even surpassed, its former glory. Regus Pal Yam Business Centre LTD is strategically located in the middle of this thriving district, serving as an ideal base for both the existing and emerging business opportunities that the city has to offer. Situated on the sixth floor of the newest building within Chalonot HaCity compound, it’s close to the Ministry of Finance and Government Offices. Entertainment opportunities are easy to find: the nearby Port of Haifa is undergoing a major expansion and has transformed itself into a culinary and cultural centre. 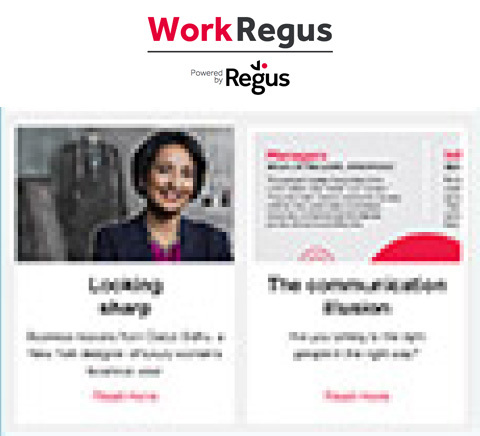 Located in the M4 corridor area – sometimes known as England’s Silicon Valley because of its many technology companies – Regus Vantage offers fully serviced office space, including private and co-working space, meeting rooms, hot desks, conference facilities and much more. Fashionable West London is not far away, which means that big-city ideas meet suburban cool-headedness behind the blue-glass façade of this easy-to-reach building. And a trip into the city isn’t essential if you’re looking for relaxation options. As well as high-quality restaurants, bars and shops, you’ll also find the peaceful haven of Kew’s Royal Botanic Gardens. Can you guess which benefit working parents want the most?